MORRISTOWN, NJ. On Saturday, May 4, from 7:30 p.m. to 11 p.m., experience the phenomenon known as ‘ghost hunting,’ led by Island Paranormal Society at Fosterfields Living Historical Farm in Morris Township. Admission is $45 per person, and preregistration is required. This program is designed for ages 16 & up. To register, visit https://morriscountynj.wufoo.com/forms/2019-paranormal-evenings-at-the-willows/. For more information, please e-mail agizzi@morrisparks.net. 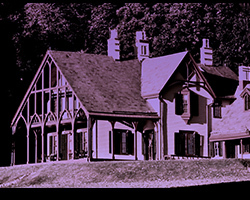 The Vail House at Fosterfields Living Historical Farm, 73 Kahdena Road, Morris Township. For directions please visit morrisparks.net.